Check out our Facebook page for current specials, contests, and more. Find something you like on our page that you are interested in for your vehicle, contact us! Don’t forget the Yard Sale link at the bottom of our website! We have created a page where you can buy, sell and trade custom accessories. Take a look! We have Gift Cards Available! This would be a perfect gift to give or to get for those car lovers out there. Everyone wants to upgrade and enhance their vehicle. Why not give a gift that can be enjoyed and shown. Contact us today and ask about our Gift Cards. Looking to get your vehicle upgraded? Give us a Call! 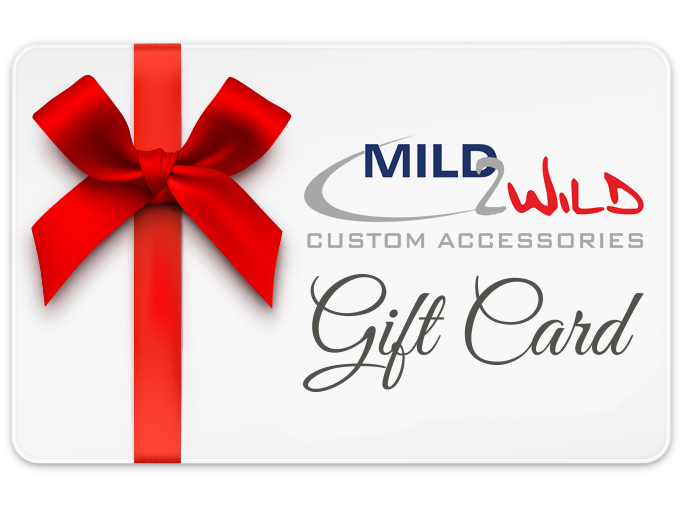 Mild 2 Wild is one of the fastest growing local retailers of custom automotive parts and accessories today. We draw from over 30 years of experience in the automotive aftermarket industry to bring you the highest quality products.